Following the very successful relaunch of our Facebook page which is expertly maintained by Giuseppe Rampello, we have now also relaunched our Twitter account and once again entrusted it to Giuseppe. 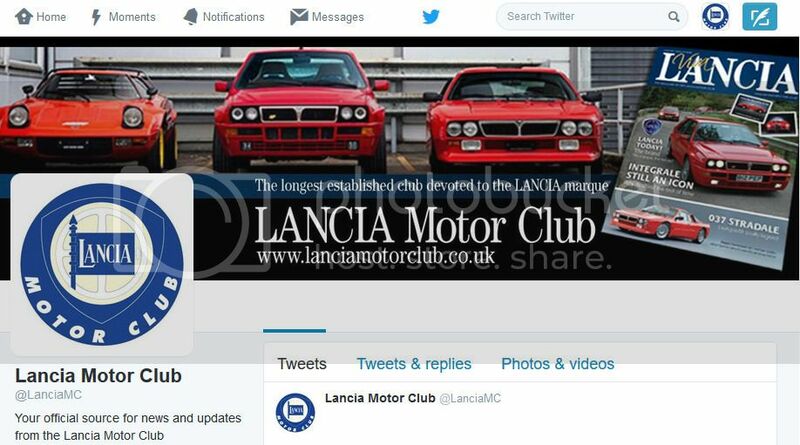 Our Twitter account can easily be reached at www.twitter.com/LanciaMC so start following us on @LanciaMC. We will be tweeting regular updates, news and alerts regarding motoring and other special events as well as about the Lancia Motor Club so follow us to be kept informed.